An 1883 town ordinance created Ocean Grove Cemetery on this block. The section bordering Simmons Street on the right is called Ocean View by the community. The adjoining section is owned by St. Paul’s Lutheran Church. 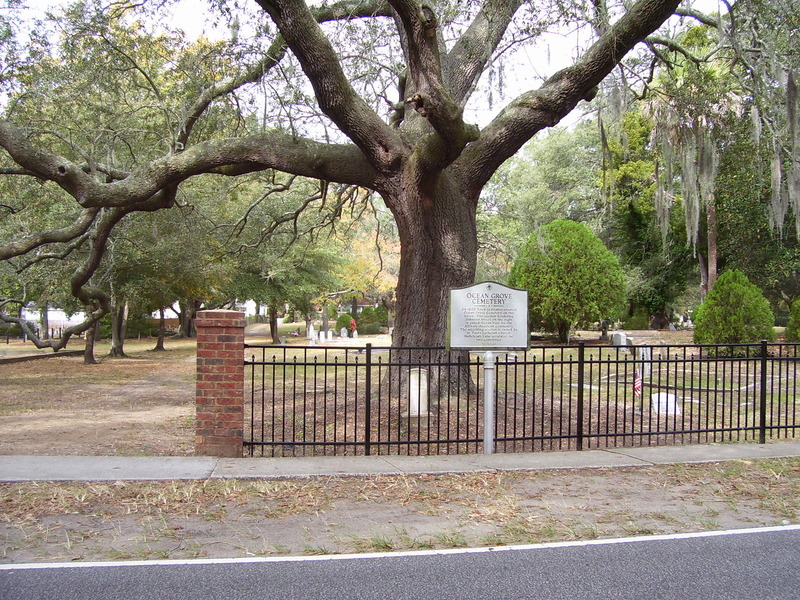 In 1902, Hallelujah Lane was added to separate the cemetery into two sections. 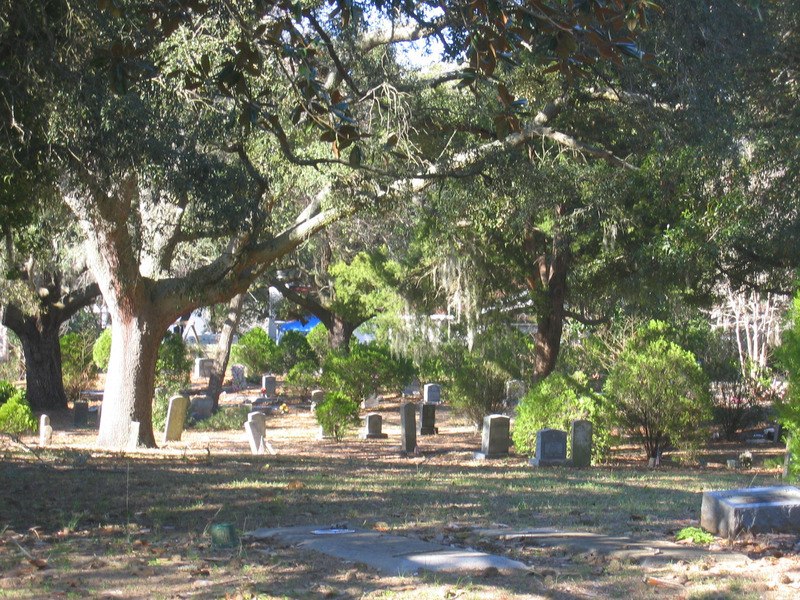 Town of Mount Pleasant Historical Commission, “Ocean Grove Cemetery,” Mount Pleasant Historical, accessed April 21, 2019, http://mountpleasanthistorical.org/items/show/19.